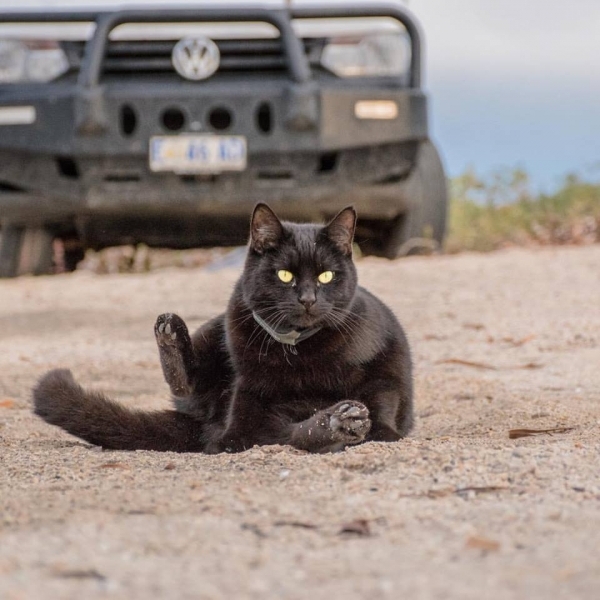 Willow is a regular domestic cat, who has traveled 50,000 km around Australia. 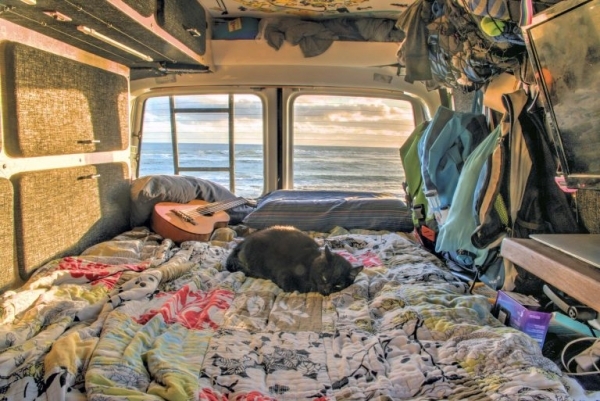 Together with her owner, Rich East, they have been on wheels of the campervan since 2015, sharing all the beauties and difficulties of the road. The best shots of the adventure are shared on Instagram and Facebook pages of the two. It all started when Rich decided to sell his house and travel the world. 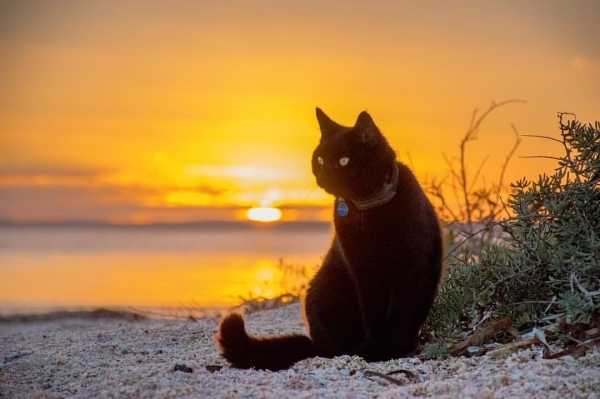 The only one Rich couldn’t say goodbye to was his rescued cat, Willow, so he decided to bring her along. And the exciting journey to all the eight states and territories of Australia started! 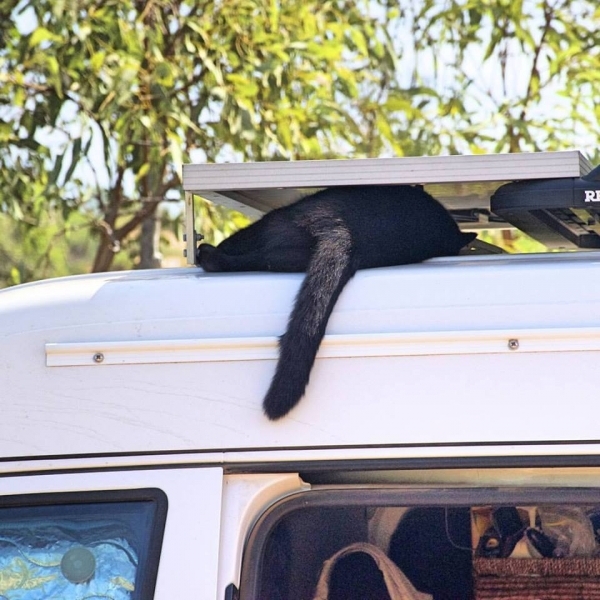 Cats adapt to traveling very fast. 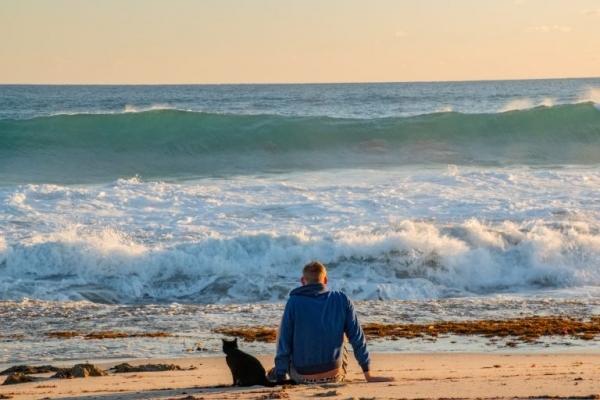 They enjoy doing things together as well as becoming engaged in their own activities, so you have some time alone and don’t need to worry about the cat’s leisure. Rich has a cat leash as well as radio frequency collar, so Willow can go for a walk on her own. She is a very curious cat, although, she never goes too far and always returns. The daily routine of the travelers is simple. During the day time, they drive about 60km, taking pauses for sightseeing, eating, and napping. And in the evening, when they find a camp, Rich and Willow explore the area together and cook a dinner. Willow also likes falling asleep under the solar panels.